Happy Cars Go Places is a reflection of Campus Automotive's vision for the community. 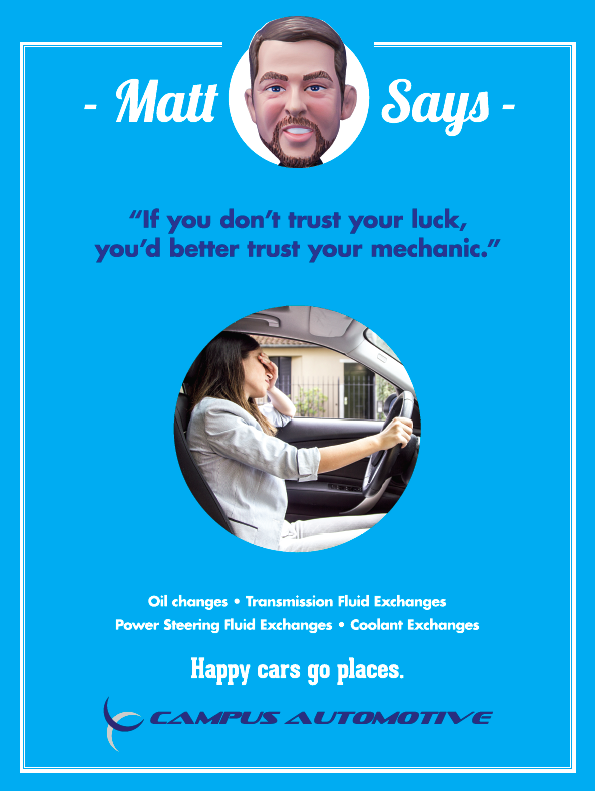 The campaign theme ties directly to what the owner, Matt McMurray, wants to do with his business - not just fix cars, but educate customers about the importance of maintaining them along the way to avoid more costly repairs in the future. Properly maintained cars are safe cars and that benefits everyone from their customers to the people on the road with them. Videos were boosted and display ads ran on Facebook at the same time. The posters were hung in the windows across the front of the building and on the walls inside. Vinyl banners greeted drivers as they drove by. 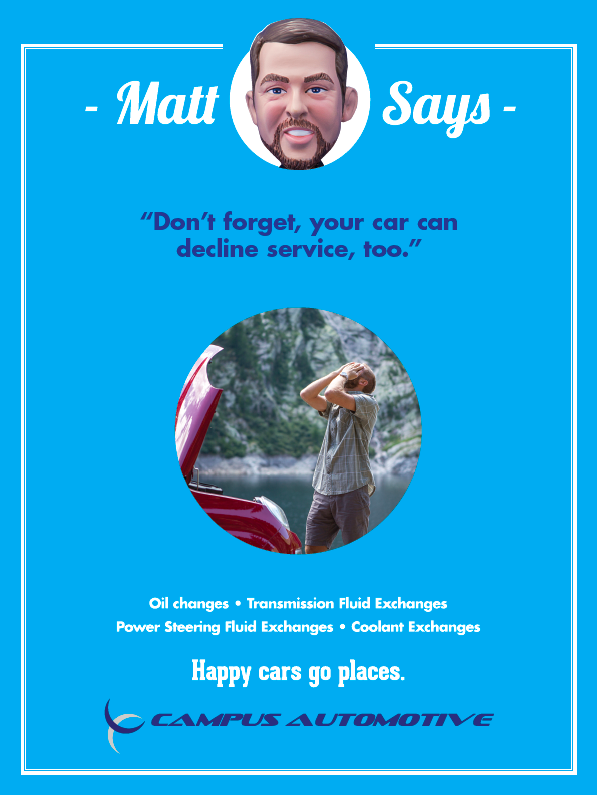 From your computer and mobile devices to the road and even the moment you walked in the door, this campaign was there to remind drivers how important proper maintenance is for their cars. The full campaign is at the bottom of the page, but let's answer the most important question first: Did it work? Need to convince somebody else? Grab the PDF that looks just the report above and share it.